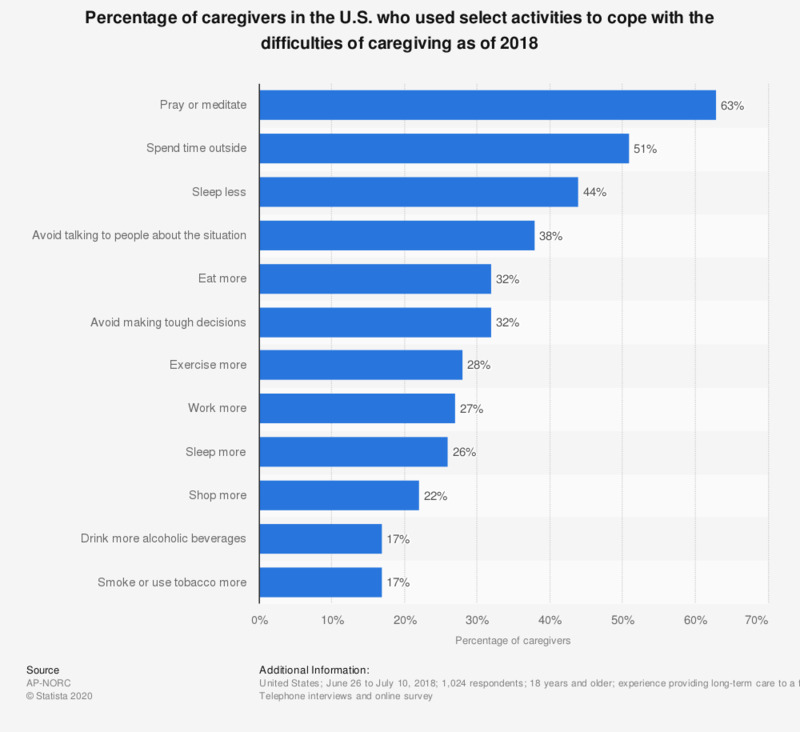 This statistic shows the percentage of caregivers in the U.S. who used select activities to cope with the difficulties of caregiving as of 2018. It was found that 63 percent of caregivers stated they prayed or meditated to cope with the difficulties of caregiving. Question: People cope with difficult situations in different ways. [Have you done/Did you do] any of the following to cope with difficult caregiving situations or not? How much time are you going to spend on praying, meditating and relaxation techniques in 2019?